The rumors are beginning to pick up steam surrounding a new 4-inch iPhone model, and Chinese website cnBeta just added fuel to the fire. The Chinese tech site claims that the name of the rumored 4-inch iPhone is to be the ‘iPhone 5e,’ with ‘e’ meaning ‘enhanced.’ The website cited Foxconn sources when revealing the name and rumored features and specifications of the new phone. 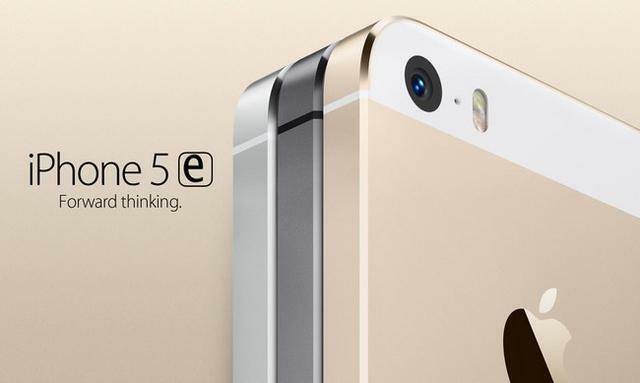 The ‘5e’ is said to see the return of the A8 chip with 1GB of RAM. This 64-bit configuration was previously used on several Apple products, such as the iPhone 6/6 Plus, iPad Mini 4, iPad Air 2 and Apple TV 4. The phone is reportedly going to be available with either 16GB or 64GB of storage, the same 8-megapixel camera as the iPhone 5s, Apple Pay, VoLTE Calling (wideband phone calls on select carriers) and a slightly lighter and thinner design that resemble an iPod Touch more than an iPhone. Oh, and you can also (reportedly) get it in Rose Gold. The report claims that we’ll see the iPhone 5e launch in February or March, which seems to coincide with other rumors that the release will precede that of the typical new iPhone announcements later in the year. Pricing is unconfirmed, but could start at around $500.